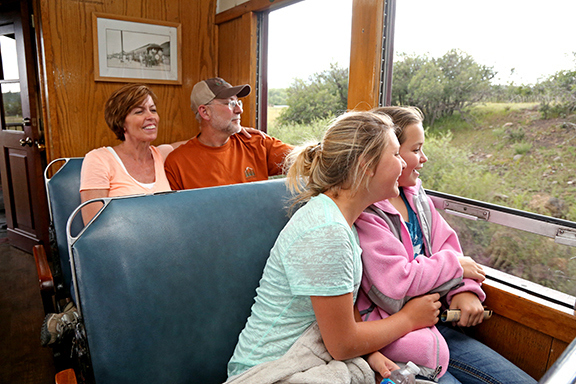 Our narrow-gauge steam trains leave daily from Antonito, CO and Chama, NM. The trains meet at historic Osier, CO for a delicious buffet lunch, included in the ticket price. You can begin your full-day trip with a morning luxury motor coach ride along Colorado’s Los Caminos Antiguos Scenic Byway, then return to your car by train. Or, start your day on the train, and return to your car via motor coach on the scenic byway. 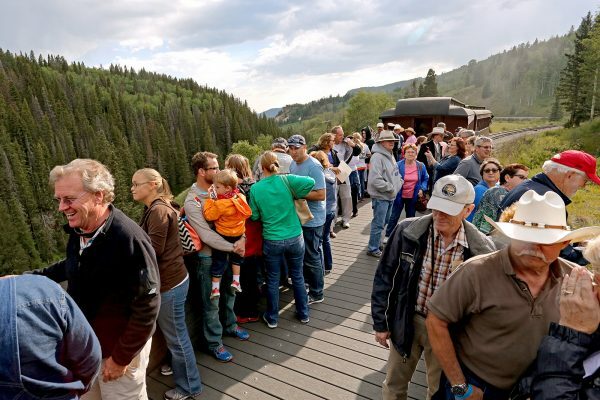 The final option is to change trains at Osier, and return to your starting point by train, viewing the same scenery at different times of the day. Below, find more details on each of our unique ride options. return to Antonito by train 4:40pm. 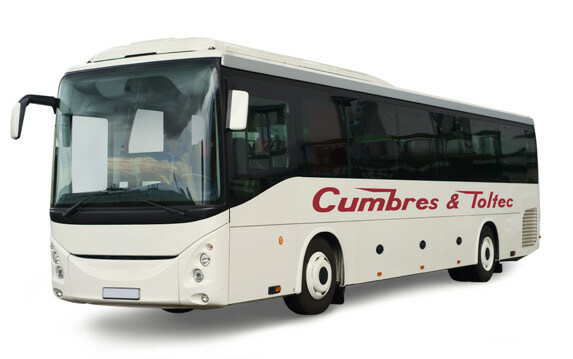 Enjoy a relaxing and informative one-hour ride to Chama, New Mexico in one of our beautiful luxury motorcoaches. You’ll leave your vehicle safely parked in the Antonito Depot parking lot and enjoy the morning traveling through the beautiful Conejos Valley to Chama. Your train departs Chama at 10:00am. After lunch, your train arrives back in Antonito at 4:40. Trip 2: 10:00am – Antonito to Chama by train / return to Antonito by motor coach – 5:30pm. A trip for those who wish to enjoy the western plains in the morning! Your train departs Antonito, Colorado at 10:00am. After passing through our tunnels and traveling along the rim of Toltec Gorge, feast on the delicious lunch served at Osier. Travel on through meadows and forests to Chama, New Mexico. The relaxing one-hour ride back to Antonito in a luxury motorcoach will offer the opportunity to chat with your new travel partners about your day in the authentic west. Resume your travels from your vehicle that has been parked at the Antonito Depot. Trip 3: 10:00am Antonito to Osier by train / Osier to Cumbres by train / return to Antonito by motor coach – 3:45pm. A new trip for those travelers who desire more time at the end of the day to proceed on to other events in the beautiful southwest. 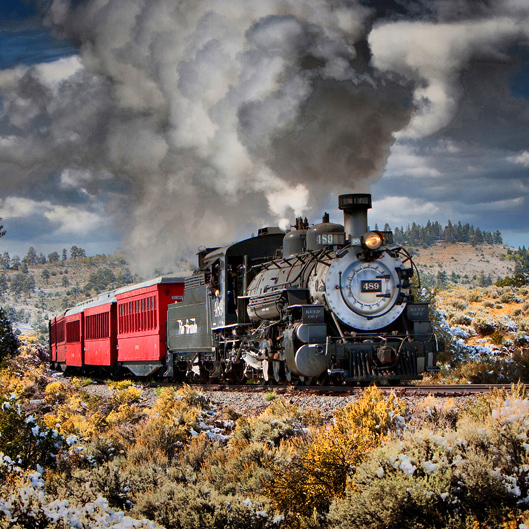 Start the day by train in Antonito, Colorado at 10:00am. Ride through the pristine southern Colorado terrain in the morning sun; an excellent opportunity to see antelope and other wildlife. A delicious lunch awaits you at Osier, and from here you proceed on to the top of Cumbres Pass by train to meet a luxury motorcoach that will whisk you back over La Manga Pass and the Conejos Valley to your starting point at Antonito. You’ll arrive back at your car at 3:45pm for an early getaway to proceed on to your southwest vacation. 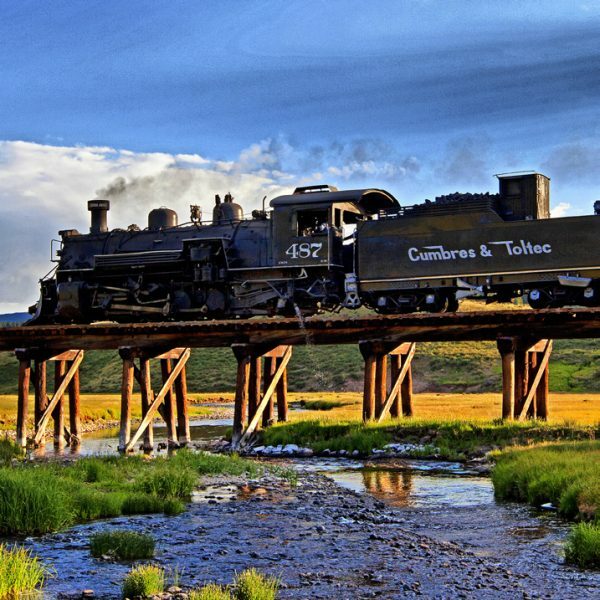 Trip 4: 10:00am – Antonito to Osier by train / return to Antonito by train – 4:40pm. 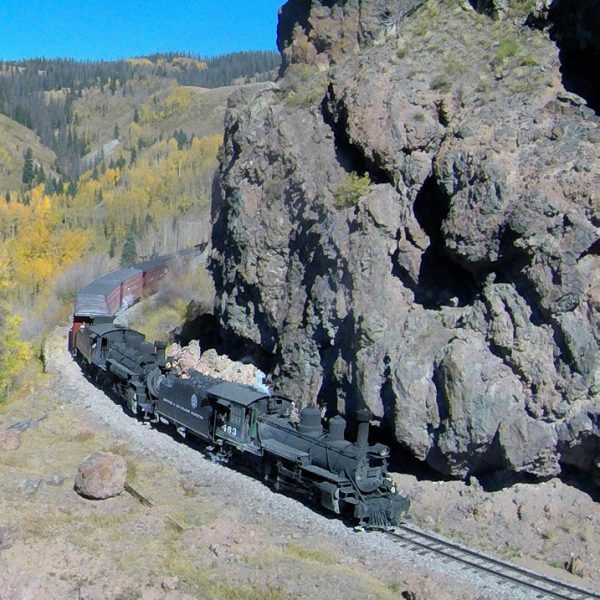 This Antonito/Osier/Antonito round-trip reflects the best of the west as depicted in the many western movies filmed on this side of the Cumbres & Toltec Scenic Railroad line. This relaxing round-trip gives the traveler the best views of the prairie in the early morning, and the sense of the true cowboy life at the end of the day. 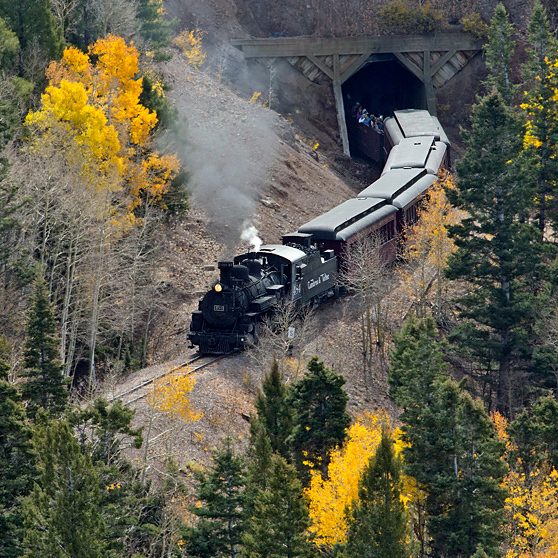 Trip 5: 8:30am – Chama to Antonito by motor coach / return to Chama by train – 4:05pm. Early risers get a true reward on this trip as the luxury motorcoach departs from Chama, New Mexico at 8:30am. for an informative and eye-opening one-hour ride to Antonito, Colorado. The early morning landscape viewed from the Antonito departure is truly a magnificent splendor, and breathtaking views from the Toltec Gorge are not to be missed. After the delicious lunch at Osier, you’ll continue on to Chama, through lush meadows, spruce and pine forests. Travelers return to their original starting point at 4:05pm., giving them time to enjoy dinner at a friendly restaurant or hotel in Chama. 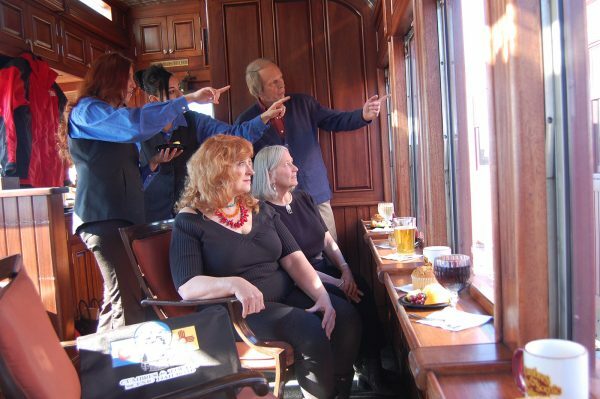 Trip 6: 10:00am – Chama to Antonito by train / return to Chama by motor coach – 6:00pm. Passengers have an opportunity to roam the charming Village of Chama and shop in the boutiques. 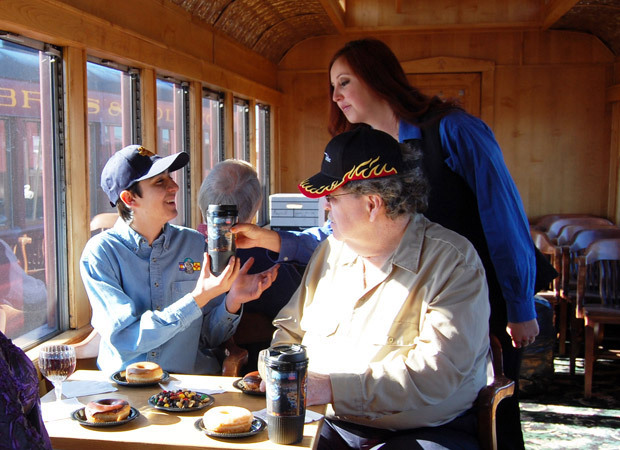 They can also buy a true southwest breakfast before boarding the train at 10:00 a.m. Gather in the open car to enjoy a complete narration by one of our docents. 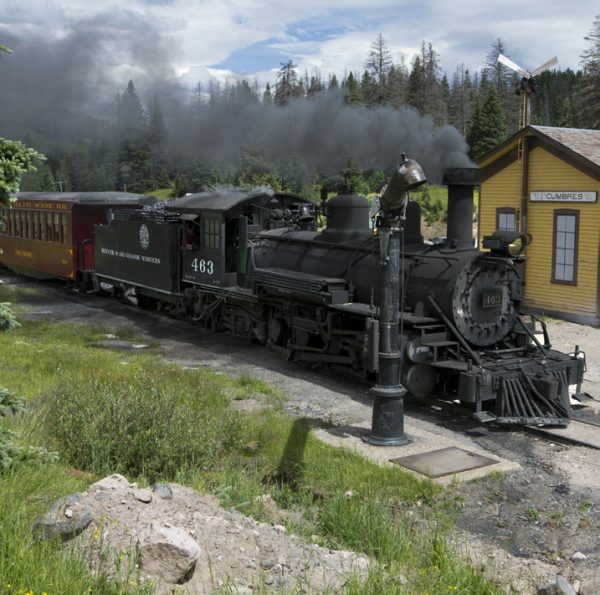 The Fireman of the engine will be working hard to shovel coal into the firebox to produce the steam that carries the train to the top of Cumbres Pass. Wear your hat and sunglasses as you see the powerful engine produce steam and smoke as it carries you to the top of the mountain. A delicious lunch is served at Osier, and then you’ll proceed into deep canyons, amazing rock formations and beautiful prairie en route to the old western town of Antonito, Colorado. A luxury motorcoach will then whisk you back to the starting point in Chama. Trip 7: 8:30am – Chama to Antonito by motor coach / Antonito to Cumbres Pass by train / return to Chama by motorcoach – 3:20pm. This trip was designed especially for travelers who want to see everything with a reduced time commitment. It combines the beautiful trip through the Conejos Valley to Antonito, Colorado in the morning by luxury motorcoach. You’ll board the train that departs from Antonito at 10:00am. The morning splendor of the southern Colorado experience will be highlighted by our docents from the open car on this ride through pristine western territory. Watch carefully, and you might see wildlife as the train travels through remote areas that are not accessible by roads. 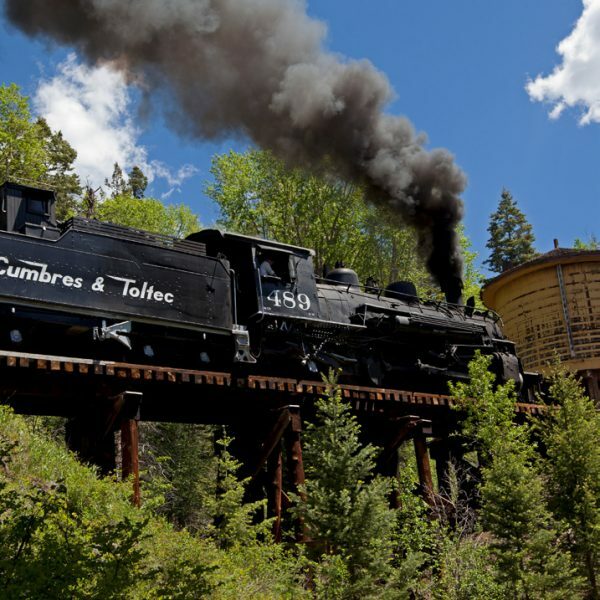 After a delicious lunch at Osier, the railroad travels through remote country to the top of Cumbres Pass where a luxury motorcoach from Cumbres Pass returns you to Chama by 3:20pm. 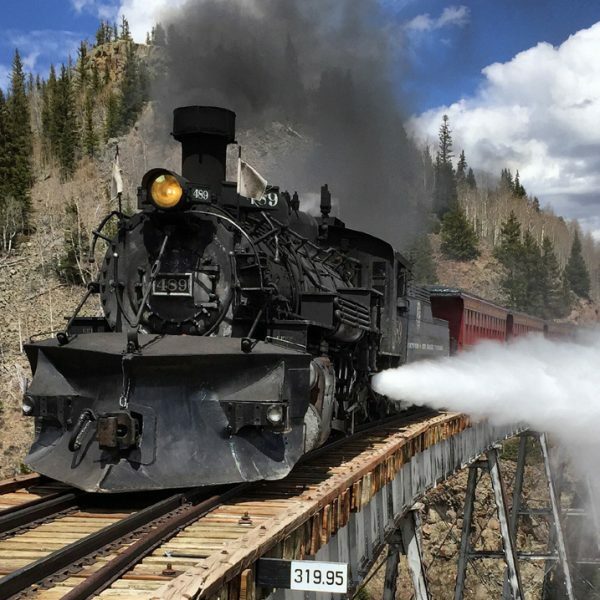 Trip 8: 10:00am – Chama to Osier by train / return to Chama by train – 4:05pm. Enjoy early morning shopping at the Chama Depot for a memorable gift to take home to family members before your train boards for its 10:00am departure. Take pictures of the locomotive and relax as the crew prepares the engine for a mighty trip up the mountain to Cumbres Pass at 10,029 feet elevation. The knowledgeable docent guides will thrill and amaze as the engine puffs up the hill. After our lunch at Osier, you’ll return to Chama by 4:05pm to continue discovering the charm of Northern New Mexico. 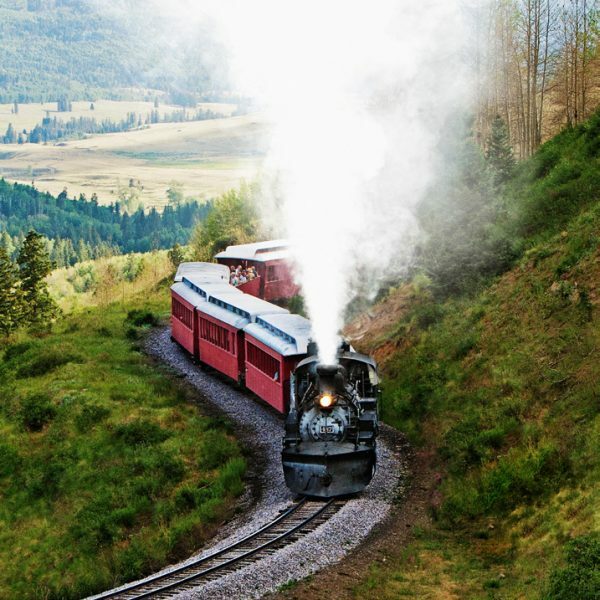 Trip 9: 10:00am – Chama to Osier by train / Osier to Cumbres Pass by train / return to Chama by motor coach – 3:20pm. 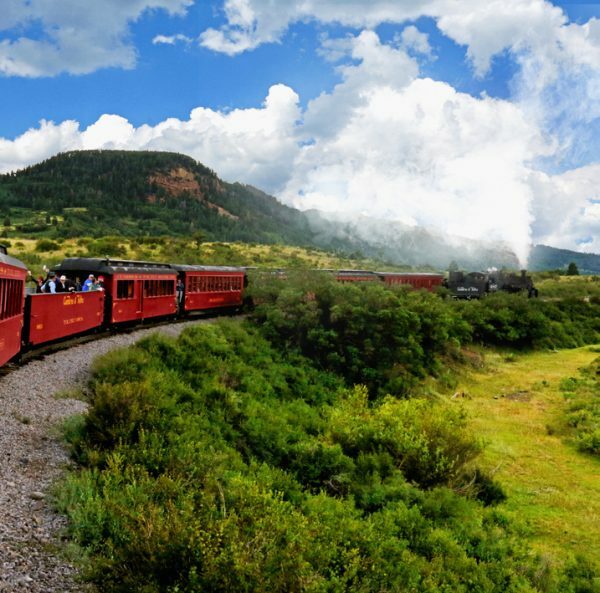 This trip offers the highlights of traveling up to the high altitude Cumbres Pass on the morning train out of Chama, New Mexico, with an earlier return time. A delicious lunch is served at Osier, and then you’re met at Cumbres Pass by a luxury motorcoach that returns you back to Chama. You’ll still have time in the day to relax, rest and gear up for a night on the town in Chama, or move on to your next destination. Press a button below to choose a route and display it on the map.